The magnificent sedan from the stables of Hyundai Motors, the South Korean car maker – 2012 Hyundai Sonata fluidic, which was showcased in the recent New Delhi Auto Expo, has been scheduled for this month. This is being kept after the Union Budget of the Indian Government, wherein there is a speculation that there might be an additional levy on the diesel engine passenger cars.Now that the Union Budget is announced once can expect the car anytime soon. The final Hyundai Sonata price is also on hold till then and the company is hoping that there are no extra taxes on this segment, so that they can launch this car with a competitive price tag. These sedans are now being assembled at the company’s Chennai based manufacturing unit, where they are being imported in completely knocked down kits. This aspect would also be a significant factor in the pricing as the taxes and duties are different for CKD kits and fully imported cars in India. This sedan is just plain brilliant to look at and has a pristine design and is sure to grab a lot of attention once on road. 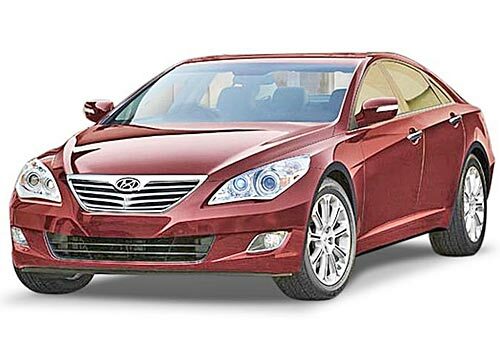 The looks are unbelievably appealing with a striking front fascia as seen in the Hyundai Sonata pictures. There are a lot of safety features as well as advanced gadgets installed inside the sedan. This amazing car is expected to be housed with a 2.4 liter GDI petrol engine, which will have a capacity to churn out a peak power of 200 BHP and a maximum torque of 255 Nm and will have a 6-speed manual as well as an automatic gear box transmission for the customers to choose from as stated in a Hyundai Sonata review. However, all eyes are on the Indian Government’s Union Budget, as the fate of all the new launches in diesel variants would depend on the outcome of it.